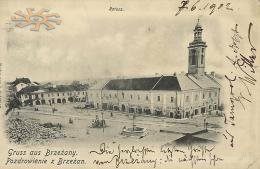 Berezhany (Brzezany in Polish) is a centre of the rayon (district centre) in Ternopil Oblast (Western Ukraine). The town stands on the banks of the Zolota Lipa ("golden lime-tree") river. The coordinates are: 49° 30’ latitude, 22° 21’ longitude and 89 km. from Lviv (Lwow). 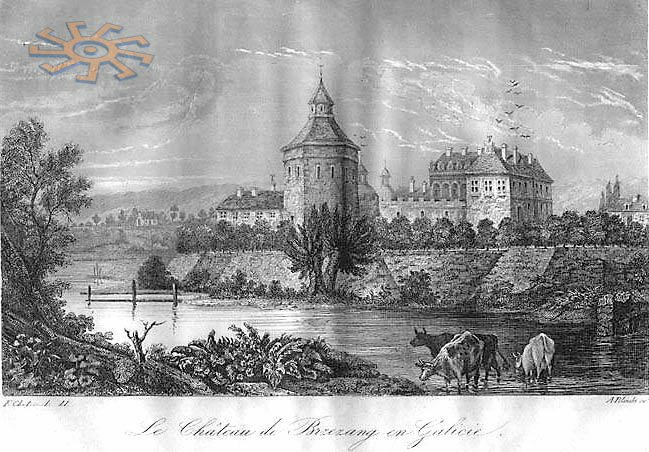 Berezhany was first mentioned in 1375. 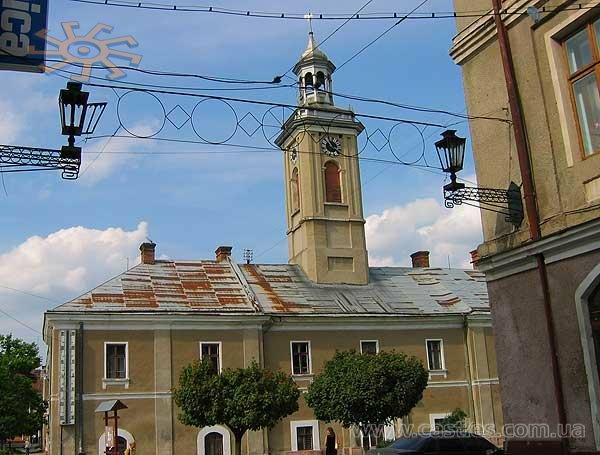 Berezhany is an old and cosy town with several architectural landmarks dating to the sixteenth, seventeenth and eighteenth centuries. The main tourist attraction is a castle which was built by the Sieniawskis in the middle of the sixteenth century (1534-1554). The castle sits on a small hill with two arms of the River Zolota Lypa hugging the hill on two sides. 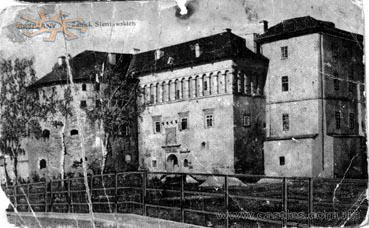 The castle was believed to be one of the richest ones in the Polish kingdom (which then included a considerable part of Ukraine). Some of the rooms were lavishly decorated with gold and silver. There is very little left in the castle now that may remind of the glory of its former interior decoration. 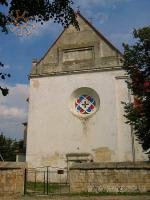 Probably only the stone carving in the Holy Trinity Chapel may serve as a reminder of the former splendor (it was created in the seventeenth century by Johan Pfister, a well-known sculptor in his time). 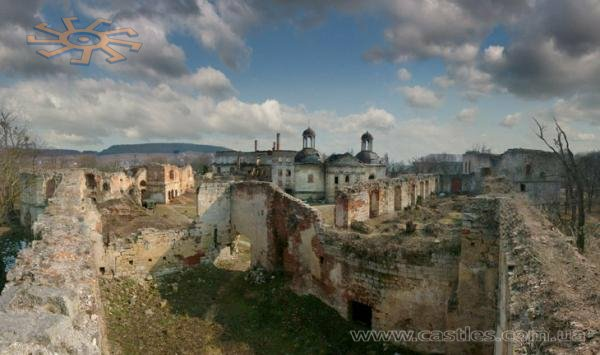 Some tombstones from the chapel are now the part of a museum exposition in Olesko castle (Lviv Oblast). The walls in the huge towers are up to six-meters thick in some places - they are a reminder of the distant past when the thickness of the walls did matter in the times of war. 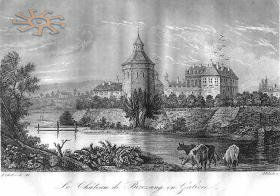 Nowadays the castle is a popular place with young mothers who take their children for walks there or roll the prams with sleeping infants around the place. Cows that can be observed in the distance add a pastoral touch. The local history museum is a place to visit if you are history-minded. 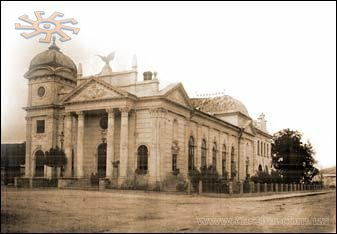 The museum is housed in the building that used to be the town-hall that was built in 1811 on the site of the city hall that had been destroyed by fire. Previous town-hall was famous by its richness and beauty, by the way. 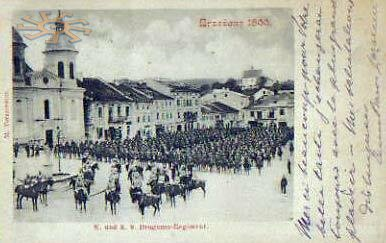 In 19th century the famous Ukrainian gymnasium was situated in the town-hall. 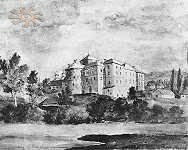 Many of Ukrainians writers, poets and politics studied here. 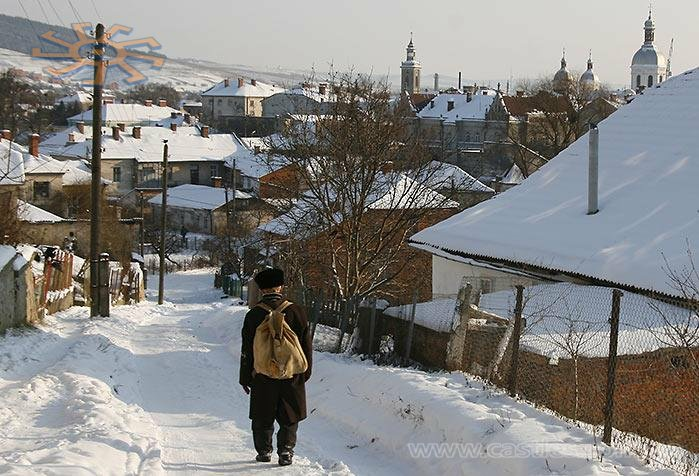 The town of Berezhany has always been inhabited by people of different ethnic backgrounds - Ukrainians, Poles, Armenians, Jews and other ethnics. The bigger communities built churches and houses of worship. 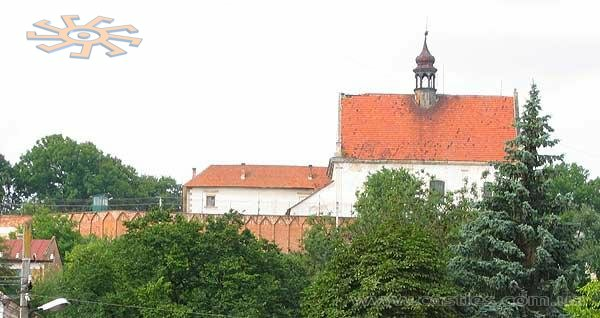 A Bernardine monastery built in 1650-1683, sits on top of the hill called Mount Storozhysko. 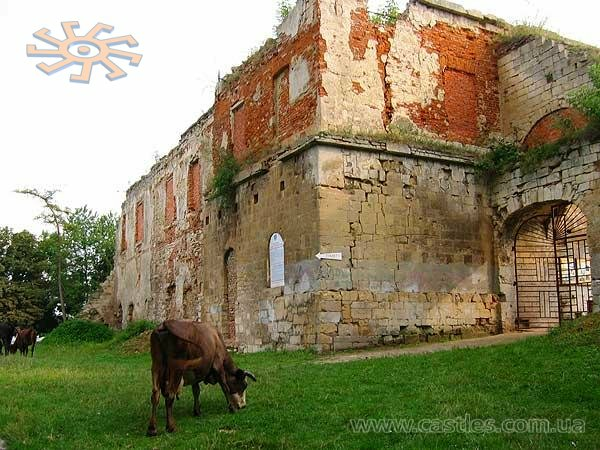 The monastery walls look more like defensive walls of a castle than of a place that housed a religious community. 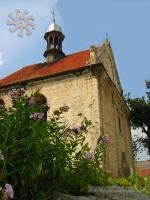 They say there was an underground passage that connected the monastery with the castle. 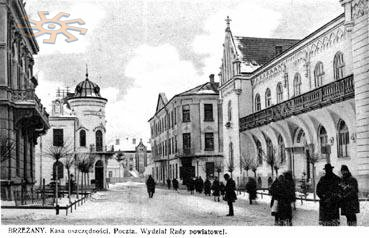 Now the prison is situated in these ancient buildings. St. Michael church is hardly seen from the walls. Since summer-2005 every Sunday the church is open for visitors during the Mess. 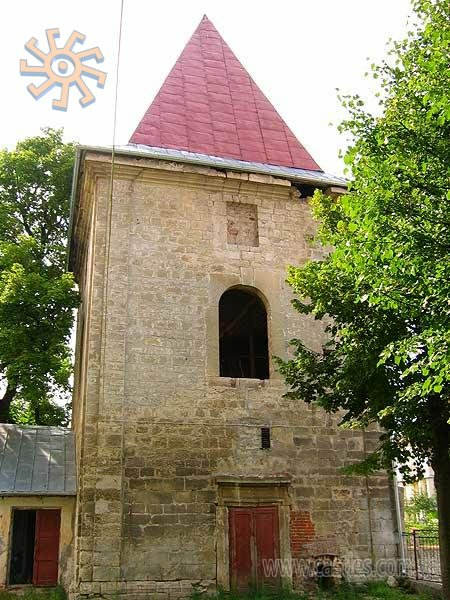 An old wooden church dedicated to St Nichoals can be found in one of the suburbs of Berezhany - Adamivka. 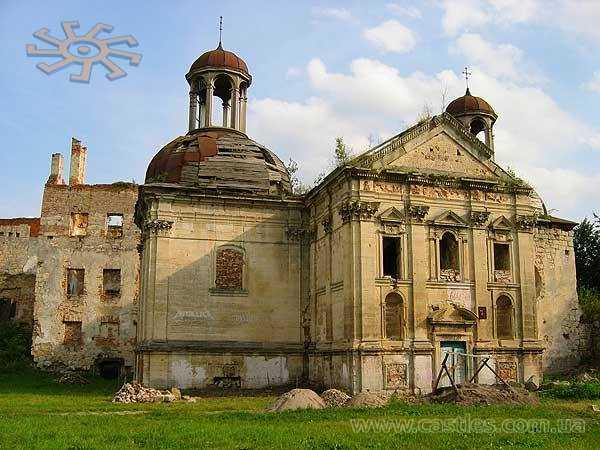 It was built in 1691 by the Berezhany Orthodox Christian community, and for a wooden church to survive so many wars (two world wars included) and revolutions that raged in Ukraine in the past several centuries is nothing short of a miracle. 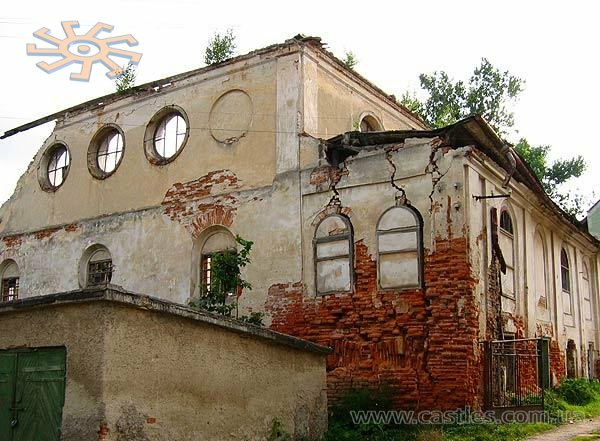 The ruins of the Big Synagogue built in 1718 can be found in a quiet courtyard right in the centre of Berezhany. The building (or the ruins?) is in a terrible condition now. The st. Trynity Greek-Catholic Church stands across the square from the museums-city hall with the Apostles Peter and Paul in stone looking at us from the church's facade. 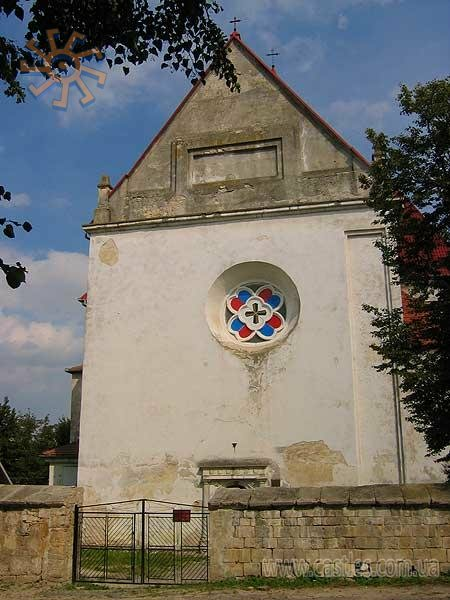 It was built in 17th c. and survived many reconstructions (1748-1768, 1810, 1830, 1860). 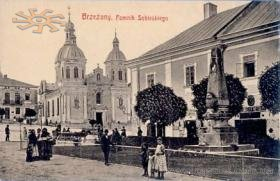 In 1831, the Image of the Virgin, presented to the town of Berezhany by the Roman Pope himself, joined the Apostles on the facade. A big monument to the great Ukrainian poet Taras Shevchenko stands near the church. The Armenian church built in 1764 by Deodat Gorbach on the place of previous wooden church, hides behind the Holy Trinity Church. In the past there were defensive walls around this church. 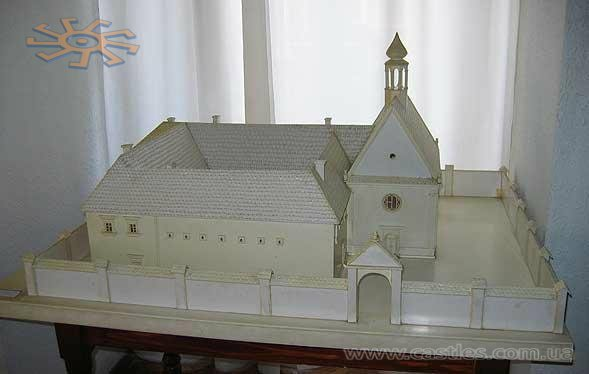 Unfortunately, this small but in many respects remarkable church was used as a storehouse and a school gym(!!!) for many years and this, quite an unchurchly function, has hardly improved the church's appearance. 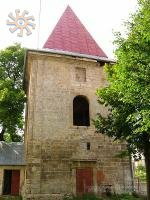 The oldest surviving church in Berezhany is that of the Virgin Mary. 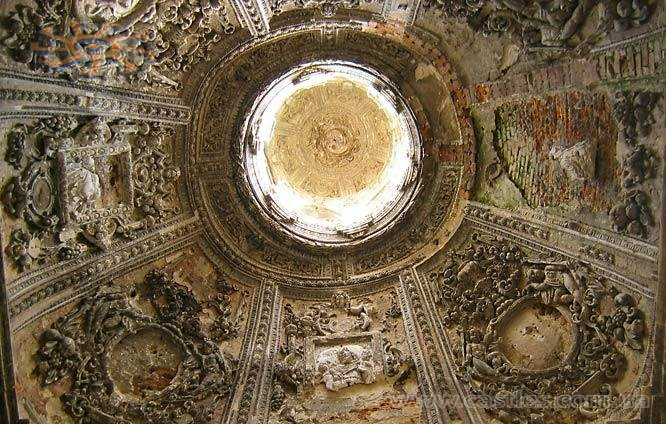 Its construction was completed in 1600 but there are still some Gothic features in its architecture. The church was also used as a defensive building. The church's tile roof can be seen from afar. 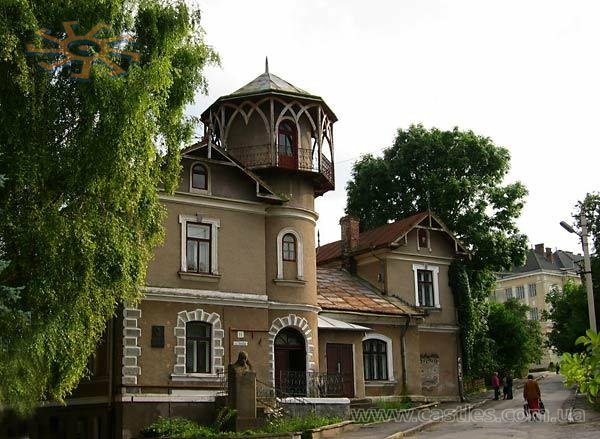 Berezhany can also boast a number of old mansions and houses that are connected with some prominent historical and literary personages. Ivan Franko, a remarkable Ukrainian prominent author of the late nineteenth-early twentieth centuries, stayed in one of the houses in Valova Street in 1894 (the house belonged to the writer Andrey Chaykovsky). 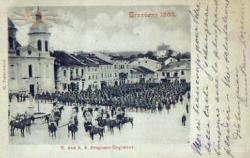 In another house in the same street, another prominent Ukrainian literary figure Bohdan Lepky celebrated his 60th birthday in 1932. Markiyan (Ruslan) Shahkevich, a notable writer and public figure of the first half of the nineteenth century lived in a house located in the same street (Shashkevich is known as the founder of the Ruska Triytsya literary and cultural society to advance and pro¬mote Ukrainian literature and culture; the society played a sig¬nificant role in the Ukrainian national revival and liberation movement). The building that houses a bank and dates to the late nineteenth-early twentieth century, is situated in the cen¬tre close to the town's central post-office. It is a good example of the architecture style of that time. If you happen to visit Berezhnay and Rai, make sure you take enough pictures to support your claim mat you have been to Paradise. When you'll be showing these photographs to friends you will no doubt remember the fresh air filed with the forest fragrances, the beauty of nature and grandeur of human creations.